The retail industry is not only undergoing significant changes, but it’s also doing so at a rapid-fire pace. These changes are taking place across all aspects of the business. Through our work with leading retailers like Jordache, Design within Reach, Woolworths, Perry Ellis International and many more, we have learned the key focus areas that retail leaders consider when moving to the cloud and going Google. 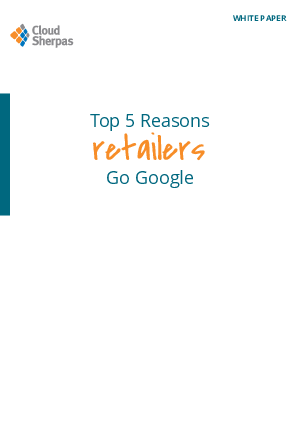 Download this whitepaper now to find out the Top Reasons Retailers Go Google.